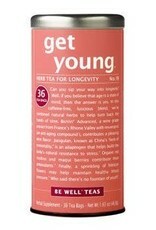 Sip your way into longevity. 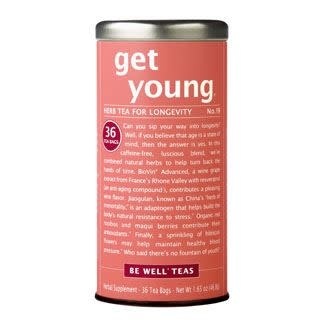 This luscious, herbal blend combines natural herbs to help turn back the hands of time. Organic rooibos and maqui berries contribute their antioxidants. BioVin Advanced®, a grape extract with resveratrol (an anti-aging compound), contributes a pleasing wine flavor. Jiaogulan, China's "herb of immortality," helps the body's natural resistance to stress.